Summer Time ~ Organic Floral Waters are essential! During this sunny spell, one of my favourite ways to use essential oils is in the form of floral water. Our Organic floral waters are freshly handmade using the finest Organic essential oils, carefully infused in pure mountain spring water to create wonderfully hydrating and refreshing remedies. Floral water is similar in properties and aroma to essential oil but in a more gentle form, making it versatile and safe to use, even directly on skin and especially suitable for sensitive skin and babies. They are a pure, gentle and light way to scent the skin. The nourishing effects of the pure oils are refreshing, toning and hydrating to the skin, the scent from the flowers is clear and beautiful. The floral waters are incredibly practical; you can apply a little to your bowl of water for cleansing, or onto cotton wool to clean skin. You can also use a spritzer in the bottle so you can spray a mist over the face and body like a toner, this feels completely amazing! Keep it on your desk or in your hand bag to refresh the skin throughout the day, it is especially useful in Summer time, to calm nerves, and to clear the room. Our delicious and divine treatments come in Organic Rose, Neroli (Orange blossom), Lavender and Geranium. This luxurious and rare floral water is one of our most popular products. The Rose petals are handpicked just before dawn, when the exquisite fragrance is at its best. Suitable for all skin types, especially dray and mature, also supports skin prone to redness. Aroma: Honey and rosy. With Organic Rose essential oil (Rosa damascena). Lavender cools and soothes irritated skin, whilst clearing everyday stress and tension. Suitable for all skin types. Very cleansing and antimicrobial so perfect to spray in sick rooms. Aroma: Beautiful, aromatic and fresh. With Organic French Lavender essential oil (Lavandula angustifolia). This light and delicate floral water is suitable for normal to dry skin. It is very gentle and can even be used with babies -a drop in baby’s milk can help to soothe colic. Aroma: Exotic, floral, orange blossom scent. With Organic Neroli essential oil (Citrus aurantium var. amara). Refreshing and uplifting. Geranium helps to soothe and balance hormones. Especially good for combination skin. I often recommend it to those experiencing hot flushes. With Organic Geranium essential oil (Pelargonium graveolens). Click here to buy from our website. Just be aware that you need to keep the ratios of different types of products the same -so keep the amount of water, oil, butter and wax products used the same. There is room for a little variation here, you just need to be aware that if you use more water products, the cream will have a thinner consistency, and if you use more cocoa butter then it will be thicker in consistency, so you can tailor this to your desire too. The recipe we will use is for a simple cream involving no emulsifier. 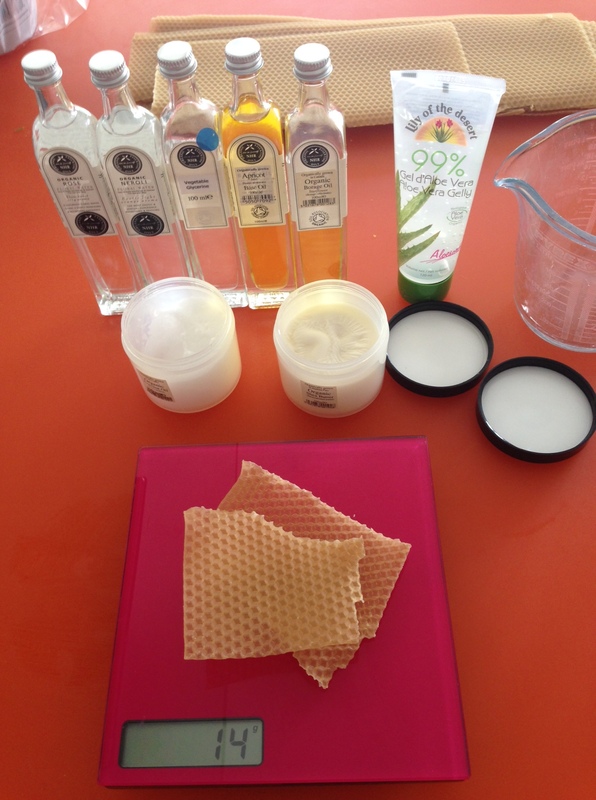 Most cosmetic creams will use an emulsifier of some kind -usually emulsifying wax. This is because to make a cream, you need to mix oil and water together, two substances that don’t like to mix with each other. An emulsifier kind of thickens the two and makes them like each other. They are made from chemicals, and cannot be natural or organic. So this recipe is a little tricky, as it involves mixing the ingredients carefully so they don’t split. But, it is possible, because basically this is how mayonnaise is made. 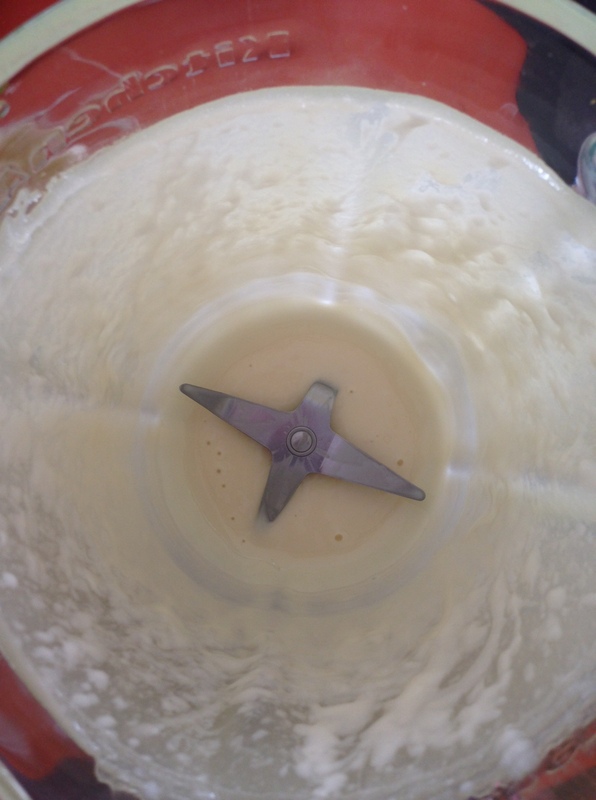 You will need to use a fairly good blender, whereas with an emulsifying wax you can usually just whisk the ingredients. 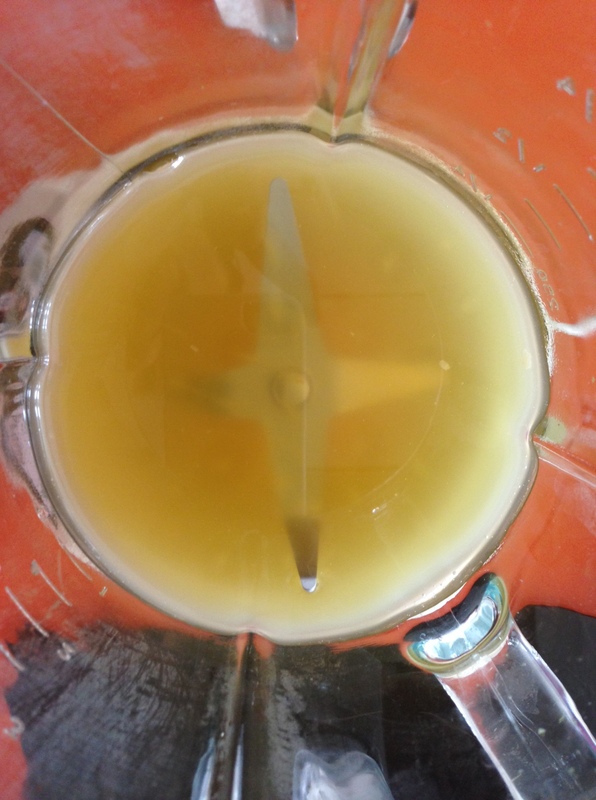 The recipe does include beeswax, and this is naturally emulsifying so helps the process. 1-2ml Essential oil for face creams and 4-8ml for body (see blend strength chart in my blending blog for more details). There are 2 versions of floral water, you can use the water that is produced during distillation of an essential oil, or you can use a handmade version, which is spring water mixed with an essential oil, left for a week or 2 and shaken intermittently, and then filtered. They are similar in action to essential oils but much gentler. An infusion is basically just like making a cup of herbal tea (a proper cup of herbal tea that is not made from a dried up old bag of dust). You place your choice of herbs in a tea pot (or cup) and pour boiling water over the herbs. One heaped tea spoon (double the amount if using fresh material rather than dried) to 175ml of water is a standard therapeutic infusion. If using a cup, make sure you cover it to keep the volatile oils from escaping with the steam. Leave to steep for 10 minutes, and strain before use. These are cold pressed from the fruit nut or seed of a plant, for example olive (fruit) almond (nut) or sunflower (seed). Make sure you use good quality oil that has not been refined, as this will have destroyed many of the nutritious qualities of the oil. Macadamia ~ rich, nourishing –has a gorgeous strong scent. An infused oil is carrier oil that has been ‘infused’ with the goodness of a herb or flower for example marigold/calendula or St. Johns wort. Generally the plant material is immersed into a carrier oil e.g. olive or almond oil, and either left naturally to heat in the sun over a period of weeks, or heated in a bain-marie over a couple of hours. The oil absorbs many of the plants properties and the leached plant material is strained out of the oil. 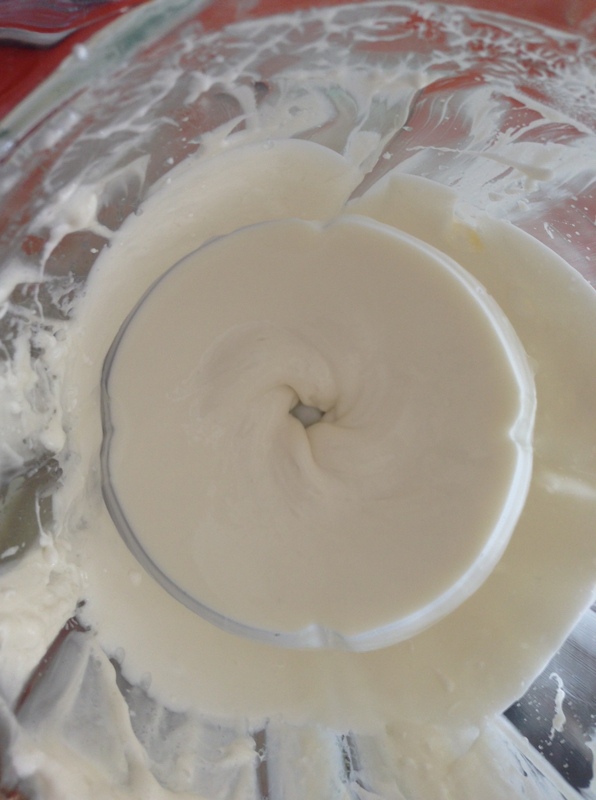 This is what helps the cream to emulsify, try to find a good quality and trustworthy source. It is also an emollient, very soothing and protecting. Essential oils are normally steam distilled from various parts of plants such as flower, leaves, fruit, roots and bark. With citrus oils it is usually just pressed from the peel, and some delicate material will use a solvent to gentle extract the oil. They have a strong scent to them, so are a lovely way to personalise your blend, but also have very potent healing properties that affect the body on a physical and level as well as the way we feel. Even though the cream is complete on its own, the essential oils will bring another dimension to the effect. Because this cream is very natural and does not contain chemicals or preservatives, it is likely to only last 2-3months. I would recommend keeping it in a cool dark cupboard or in the fridge if you can. It will usually only go off if it becomes contaminated somehow. Make sure you don’t use any water from the tap if making an infusion, use spring water. We are inviting all NHR customers to our opening party at our shop in Brighton. Don’t miss out on being the first to view our beautiful Open House Venue and talk to our artists in person. We will be giving away FREE goody bags and FREE entry to a prize raffe, as well as serving raw brownies flavoured with NHR Organic Oils. Welcome to our first newsletter of 2014! We have so many excting things planned for this wonderful spring ahead, which feels so full of verdant life after the winter storms. I do hope the recent sunshine and warmth is bringing you all as much hope and happiness as it has for me. From now until the end of April, with every order over £75, we are giving away beautiful organic cotton bags worth £12 designed by artist Georgia Novis . It features NHR Organic Oils shop front in turquoise, and with NHR Logo in black on reverse. This Beautiful certified Organic unbleached 100% cotton Earth Positive bag was manufactured solely using renewable green energy from wind and solar power. Quote FREE BAG in the special instructions box if you would like us to send you one when you place your order online! 10% Discount on ALL our Distillation Kits and Accessories. We are offering a special 10% discount on our beautiful range of distillation kits, including all sizes and accessories from now until the end of April! Click here to buy online now. 10% OFF ~Glass 2 Litre large essential oil Still Distillation Kit, made with Borosilicate glass. 10% OFF ~all Distillation Accessories: Pumps, Mats, Buckets, Instructions and Hobs. New blog all about how to use essential oils to support, care and nurture in every day life. If you would like to know more about how to use essential oils in simple, practical ways, sign up for this new blog created by our very own manager, Laura Hoy. CLICK HERE> to view blog. There are lots of tips, recipes and information about the oils, and you can request specific topics if there is something in particular you would like help with. Don’t forget to ‘follow’ to receive new posts. Introducing our brand new Organic Vanilla oil. The vanilla fruit is extracted directly into organic sunflower oil. It contains natural vanillin content at 0.5% minimum. There are no solvents (other than the sunflower oil) used and no chemicals or additives of any kind. The only ingredients are vanilla and sunflower oil with Natural Vit E added as a natural antioxidant to aid shelf life. This is such a delicious scent to add to your collection, and very practical to use in this form. Click here> for more details and to purchase. All of our visitors will receive a FREE goody bag including FREE samples of our oils to try out and a FREE book on aromatherapy. NHR customers will recieve a FREE reusable Organic Cotton bag. In this 2 and a half hour workshop Georgia will be on hand to guide you through the process from designing and cutting to printing and finishing. Create your own work of art or new kitchen accessory! Make and take home your own face and body cream using the most decadent organic essential oils, vegetable oils and butters from NHR Organic Oils. We will be making a variety of dressings with a twist, different pesto’s, dips and pates. Make, taste and take home your delicious creations. with Kolinka Zinovieff, Saturday 24th May, 14:30-17:30, £60 in Brighton. A practical 3 hour workskhop where we will actually distill and produce our own organic essential oil for you to take home. An excting and fun practical worksop. Please note this workshop was fully booked last year so please book early as places are limited to only 10 people. Places are limited so please book early to avoid dissapointment. We are inviting all NHR customers to our opening party at our shop in Brighton. Don’t miss out on being the first to view our beautiful Open House Venue and talk to our artists in person. We will be giving away FREE goody bags and FREE entry to a prize raffe, as well as drinks and edible treats. May the energy of spring open your hearts and bring great joy. I feel ever grateful for working with these beautiful oils. It’s so exciting! Christmas is coming soon, only 5 weeks to go, my little boy can hardly wait and his enthusiasm is infectious. Please read below as we have so many exciting and fun things planned, presents you can buy and lots of DISCOUNTS!! Online or at our shop on Thursday 28th November ~starts 10am finishes 8pm (UK time)*terms apply, click here> for details. There will be 20% off* our products, and if you can’t make it in person, don’t worry, the discount will be available online all day (10-8pm UK time)! ***WIN a beautiful MAPLE WOOD DIFFUSOR worth £93! *** ~In Store only but Click here> to buy online with 25% DISCOUNT. 3. FREE SAMPLES of our delicious organic base oils for you to take away, for use in skin care, massage or even in foods as they are certified to organic food grade standards. In store only, but Click here> to buy online. 4. FREE ORGANIC CHRISTMAS PUDDING & other gluten, dairy free delights. In store only, but Click here> to buy online. 5. FREE Hot Spiced Cherry drinks to keep you warm. 6. FREE Gift Wrap, some gorgeous GIFT BOXES with 25% & 40% DISCOUNTS! Everything beautifully boxed and wrapped, ready for giving at Christmas. 7. FREE Hand massages with our wonderful therapist Deborah Hood, using our gentle organic moisturising lotions. You can book a slot in advance on 08453108066 to make sure you don’t miss out. With expert help and advise from our staff it will be a relaxing, pampering and delicious experience, with food and drinks to keep you sweet. Georgia Novis from Florrie who produces beautiful accessories, hand silk screen printed onto carefully designed knitwear. She has kindly offered 20% off at the party in store on 28th November. Fran Derbyshire from Brighton Beautiful who designs and makes unique Accessories from gorgeous vintage fabric. We will be building a new pier leading out on to the stunning lake at the Mill Retreat Centre. This will make it a little easier to swim in, for the more timid to dangle their toes in the fresh water and even picnics among the dragonflies. As this is out last newsletter of the year may the fun, excitement and sacred beauty of Christmas combine to fill us with a lovely glowing christmas~y happiness. With love and healing wishes. *Our 20% discount offer does not include books, distillation kits, large diffusor, Love~bites cakes, Artists work in store and bulk quantities. Can not be used in conjunction with other offers. Bee Yummy skin Cream is made from wildflower honey, Honey cappings, Bee pollen, Propolis & Royal jelly, Purified Water, and Balsam Fir Needles as fragrance. These ingredients have been hand harvested in a small wilderness area with its own microclimate. Honey, Pollen, Propolis & Royal Jelly are made by the same colony of bees from a small apiary, which accounts for energetic harmony and synergy of our cream. Honey is collected from the wildflowers, is unfiltered (just dripped from the comb), and contains the cappings of the hive with their precious, mysterious substances. Pollen, depending on season, is from a mixture of Wild Dandelion, Wild Roses, Raspberries, Asparagus, Goldenrod, Wild Apples, and Cherry Tree blossoms. Propolis is of the highest quality: only from Poplar and Fir trees. The flowers of St. Johnswort are picked by hand at noon, when the juices are drawn up from the roots, stems and leaves into the flowers. Only select, young tips of balsam of Fir are used as a vitamin C source. No preservatives are needed because Honey, Propolis, and Balsam Fir are nature’s best preservatives and antibiotics. Honey is the only food on earth that will keep forever, and so will this cream. You have our full money back guarantee. 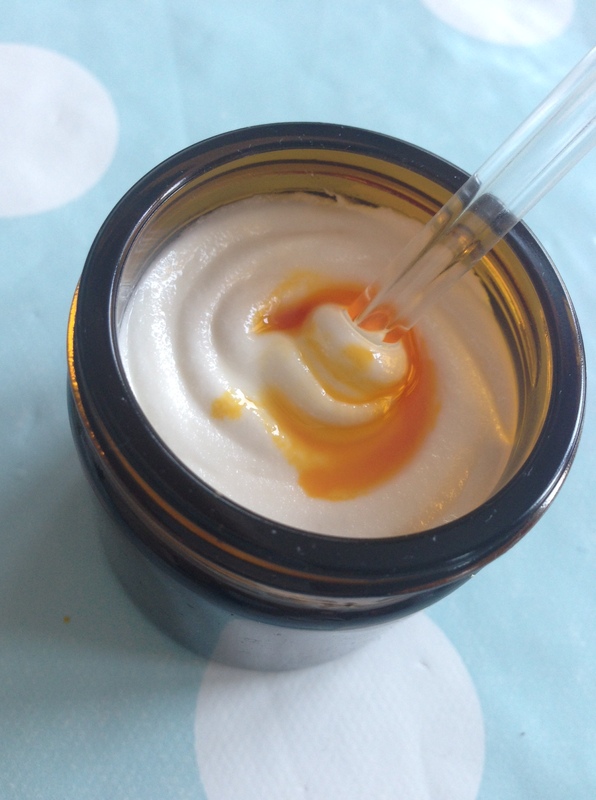 Bee Yummy is incredibly nourishing for the skin. Within minutes of application your skin will absorb as many as 80 nutrients contained in Honey (which also acts as a moisturizer by holding moisture several times its own weight, and as a cleanser and emollient; enzyme content of honey is one of the highest in all foods), over 96 nutrients contained in Bee Pollen, as well as hormones, enzymes, antioxidants and antibacterial elements present in Propolis and Royal jelly. St. Johnswort and Propolis are known for their anti-inflammatory and astringent properties and will speed up healing of wounds, burns sunburns and bruises. As a cosmetic cream Bee Yummy nourishes your skin with at least 27 minerals, 22 amino acids, 105 live enzymes & co-enzymes, hormones, antioxidants, bioflavonoids and pigments. Another, amazing, if not the main feature of Bee Yummy is its healing effect. It is excellent to help heal wide range of skin conditions: burns, sunburns, open wounds & cuts, pimples, blemishes, bed sores, stretch marks, chapping etc. We have reports from our clients that it has been very helpful for psoriasis, eczema, rosatia, poison ivy and other conditions. It also feels gorgeous and smells divine, we love it! As a rejuvenating & moisturizing cream use it 2-3 times a day. As a therapeutic, healing salve use it every 60-90 minutes on the affected area. The sun is shining down at Brighton Beach today, and at NHR Organic Oils, our Shop is OPEN!!! Yes, we are now opening on Saturdays, and to make Saturdays even more exciting, we will have some yummy edible treats made with our Organic Food Grade Essential Oils for sale. Today it’s the delicious Raw Chocolate Brownies, with Spinach and Organic Peppermint Essential Oil ~ Sooooooooooo good! I completely agree with the Soil Assocation about greenwashing. We are asking the giants of the beauty industry to stop misleading the public with false claims. These are just three of the products we found claiming to be ‘organic’ or ‘natural’ containing harmful chemicals or no organic ingredients. Coconut shampoo, from US cosmetics company Organix, contains no organic ingredients, is not certified and contains potential carcinogens. To get the full story, read Soil Association Policy Director Peter Melchett’s blog. For more coverage on the issue see articles in the Daily Mail and Vogue. Look for the symbol you can trustMisleading consumers like this has to stop, that’s why we are calling on the health and beauty industry to provide tighter regulation. EU laws ensure any food product labeled organic meets legal standards and is independently certified by a recognised body such as the Soil Association. Unfortunately, there are no EU regulations concerning the labeling of organic or natural beauty products. The only way to be sure you are buying a genuine organic beauty product is to look for an official certification label, such as the Soil Association symbol shown here. The Soil Association’s has hit out at “greenwashing” claims made by some natural beauty brands. In a talk at the Organic & Natural Beauty Show (3 June), he highlighted a number of harmful chemicals found in beauty products labelled as ‘organic’ and ‘natural’ or ‘nature inspired’. Melchett said that ingredients often found in antifreeze, floor cleaner, oven cleaner or car oil and ingredients banned in children’s food and toys were making their way into non-certified beauty products labelled as organic or natural due to a lack of industry regulation. While strict EU laws ensure any food product labelled organic meets legal standards and is independently certified by a recognised body, there are currently no EU regulations concerning the labelling of organic or natural beauty products. Melchett said consumers were being misled and that the Soil Association was calling on the health and beauty industry to use terms like ‘organic and ‘natural’ “accurately or not at all”. He said the only way consumers could be sure they were buying a genuine organic beauty product was to look for an official certification label. Under the Soil Association standard, for example, to use the word organic in the product name, a product must contain over 95% organic ingredients, excluding water. The Soil Association has singled out Boots for particular criticism over the issue. It points out that in 2012 the high street retailer was investigated by the Advertising Standards Authority (ASA) over the marketing of ‘Little Me Organics Oh So Gentle Hair and Body Wash’. The ASA ruled Boots’ advertising was misleading as the product contains less than 5% organic ingredients. The ASA found that a product should be defined as organic only if it contains a high proportion of organic ingredients. The organic charity claims Boots and other retailers have failed to take on board the implications of the ruling (in some cases brands have simply changed advertising and website claims but retained those original ‘misleading’ claims on pack designs which fall outside the ASA’s reach). It says other leading international brands continue to market products misleadingly as ‘natural’ or ‘organic’ while using synthetic ingredients, some suspected of being carcinogens. Peter Melchett, told an audience in London: “It is wrong that people are putting chemicals found in antifreeze, paint, oven cleaner and floor cleaner on their skin, when they thought they were buying a product made from only natural or organic ingredients. This must stop. MILL RETREAT CENTRE Quote ” The best Retreat Centre in the World”NHR ORGANIC OILSThe purest range of certified organic essential oils in the world. Welcome to our June 2013 Newsletter for the Mill Retreat Centre and NHR Organic Oils, We have a lot of exciting news for you and a chance to win a Complete set of NHR Organic Essential Oils, worth £199 so please read on!There are some very special retreats and course happening at the Mill Retreat Centre over this Summer please read below.The next incredibly popular NHR Distillation course on Friday 6th to Monday 9th of September 2013 more details below. To book a place please click here or for more information on the course. We advise booking soon if you would like a place as the course has become very popular. Just wanted to say how much I enjoyed everyone’s company on the NHR distillation course . I was blown away by the incredible talents and humour of those present and felt my enthusiasm for my chosen subject go through the roof. The whole course and the people on it were so inspirational for me and I’d also like to thank Kolinka and Star for all the wonderful information and experience we got from our classes. You are both very beautiful souls and thank you for taking the leaps that you have in the name of expanding the knowledge of essential oils out into the world and doing it with such a high standard of integrity and purity. EXCELLENT – I would highly recommend it. ….keep up this WONDERFUL WORK. I look forward to returning for another course. ……A1 – exceptional. Kolinka’s – lovely energy and knowledge, heartfelt – passionate and good teacher. Perfect balance of theory/practice. Learnt so much yet never felt it was overwhelmingly busy. *Distillation of your own organic essential oils on site. *Learning about the importance of organic farming to Soil Association standards, and growing aromatherapy plants in the Mill’s beautiful herb garden. *The art of cooking with organic essential oils, to make delicious and nourishing meals. *Exploring the subtle and energetic properties of essential oils, using colour, creativity and intuition. *Learn the chemical constituents of organic essential oils and how these chemicals therapeutically affect the body. An explanation of GLC (Gas liquid Chromatography) charts. *Learn the properties of 40 Organic Base Vegetable oils. *Massage treatments with essential oils you have made yourself. *Lavender cupcakes made during the course. For a super comfy journey, with reclining seats, curtains cooling fans and general comfyness. As people so love sleeping by the river in them being lulles to sleep in luxuary by the rippling water. We have added a lovely new outside bedroom in the form of a beautiful Gypsy wagon which people staying at the Mill Retreat Centre can choose if they want, it has a luxurious huge queens size bed inside and a cosy heater, with stained glass window, and is situated just next to the river and lake. It is so fun to be in; we think it will be an idyllic option for people who like to be closer to nature. I have been dreaming of creating an inspirational female retreat for a long time and have recently set up the “Escape Retreats” VITAL WOMAN SUMMER RETREAT which will take place from 26th to 30th of July 2013 with Sushi Mahto and Natasha Saltzer. mums and know first hand how challenging it can be to get the balance right. Together we decided to dream up our perfect retreat, where we would most like to go if we could take some time for ourselves and that is how Escape Retreats was created. Natasha joined us at the perfect moment, to weave in her creativity and magic and offer our participants visionary workshops to allow them to really explore their needs as women. We wanted to be able to drop everything, be somewhere beautiful and peaceful and have all our needs taken care of. To move our bodies, stretch, relax and be fed delicious energising food. We also wanted to have the time to explore what it is we most need to achieve that state in our everyday lives with inspirational teachers guiding us. I have been working mainly with women for some years now. I look closely at why my clients are out of balance taking into account every possible factor so that together we can create a programme that will reduce stress in their system and address any unmet needs. Over the years I have become more and more in awe of the extraordinary women that I meet and work with because of their ability to juggle so many things. There is a common thread that runs through these women though and that is they usually give so much more than they receive and very often put their needs aside for so long that they lose sight of what those needs are. This theme ran through a Path of Pollen training that I did at The Sacred Trust called Arte Tryptych where we worked with the sacred nature of the feminine. One of the teachers, Kate Shela used the hive as metaphor for how its possible to live as a woman. The female bees work as one each doing tiny amounts with pleasure while communing with their sisters. Each worker bee does the work she is most suited to and in this way each bee is supported by the hive which as a whole achieves miracles. This is such a contrast to our society where many women who are taking care of their family and home whilst also working, completely exhausted yet continuing to smile and pretending that they are OK, that they can carry on, all the time on the edge of burn out. And many are unable to admit they need support or ask for it. The bar is set so high these days for women. Our female ancestors would never have dreamed of trying to do all that we do. that they gave us, sent me into a blissful state which I will never forget. It was so inspiring to realise that it might be possible to create that state in my everyday life. That it could be possible to feel that way all the time. The place we chose to run our retreats is somewhere that feels like the most peaceful place in the world to me and that is The Mill Retreat Centre in France. See http://www.millretreatcentre.com/ for amazing photos. There’s a feeling of such space, light and clear energy inside the house and the grounds are so beautiful and include a lake and converging rivers. I particularly love the gathering around fires both inside and outside which feels central to the magic of the group energy there. The food element of the retreat felt really key to me – I often hear from my clients “ I wish someone could just do it for me!” when they are transitioning from processed foods to more nutritious meals. We want our guests to feel energised and light but at the same time nourished and satisfied from the delicious tastes. The solution was to find two very talented raw food chefs to create the food for us. The brief we gave them was to design a menu which will be nutritious and cleansing but taste incredible and be completely satisfying. Amy Levin specialises in raw patisserie and chocolate and will be offering her amazing concoctions at afternoon tea. Russell James is a well known raw food chef who makes food into an art form. Its a chance to experience how foods can be used as medicine without any compromise on taste. Natasha will be leading shamanic workshops focused on exploring our own intuition and ability to really see what we need in our lives, what might be missing and how we can bring this in. She is an energy healer whose work I know well and have enormous respect for. Sushi will be teaching movement classes and yoga in the beautiful attic space which will allow our participants to come fully into their bodies and start each day feeling energised and grounded ready for the inspiration that follows. Sushi will be with the group throughout the retreat to provide loving support to anyone who needs it. I will be offering participants the chance to look in detail at their health with me and explain how their hormones, digestion and energy are all linked. This will include advice on how to strengthen each system to create energy and vitality. There will be a unique focus for each woman and this work will be done during one on one sessions. Our intention is that each woman returns home feeling energised and happy with a sense of what they need to live a full and passionate life and knowing that by honouring their own needs they will gain the strength to achieve whatever they dream of. It will be a time for complete nourishment, magic, fun and transformation. We are all so looking forward to this Vital Woman Retreat. To join us please go to http://www.escaperetreat.org/ for more details. We have tried to keep the costs right down and so are only charging £625 for the whole 5 days including all accommodation, extraordinary food and teachings. Beautiful real maple wood round Medium sized ultrasonic essential oil aromatherapy diffuser. will be available from approx mid June 2013 but you can order it now. We do hope you are happy to receive information from us. It’s the last weekend for the Artists Open Houses Festival coming up. If you haven’t had a chance to come and visit us this month, then make time this Saturday or Sunday for a trip down to Brighton sea side ~it is a bank holiday weekend after all! Our opening party…with staff among photographs that continue into our office on the balcony. Our customers in our bottling workshop eating treats, amongst sculpture, vintage bags and lots of labels. Some of our amazing Artists installing their stunning work, this is Artist ~Elizabeth Jardine with some of her papier-mache woodland creatures, that we are becoming rather fond of. Artist ~Daniel Bell with one of his sculptures made from recycled material. The gorgeous girls at Fat Plants, who created art in our garden with their succulent plants. Artist ~Kai Crick with some of his incredible photographs of Newhaven. Delicious treats in the pop up tea room. The green raw chocolate brownies use Organic Peppermint Essential oil for flavour and spinach for colour! These have been the most popular sellers! If that’s not enough to tempt you, then this weekend we have more FREE goody bags to give away with samples of our Organic Oils for you to try out. We’ll have all the delicious Love~Bites gluten, dairy & sugar free cakes, teas and smoothies for you to enjoy in our lovely garden. This is one of Georgia Novis’ designs screen printed onto an organic cotton bag especially for NHR Organic oils. Click here to buy online. A perfect spot for tea and cake with the scent of our gorgeous oils. And one more thing ~ it smells just divine in our shop! With love, all at NHR Organic Oils.